Quang Ngai Province have culled 23,000 birds since last month in an effort to contain the virus. Authorities in south-central province of Quang Ngai detected another bird flu outbreak, on Tuesday, forcing them to cull over 4,000 infected chickens. The Department of Agriculture and Rural Development of Duc Pho District (Quang Ngai) said the deadly virus was discovered at the poultry farm of one Tran Anh Duong in Chau Me Hamlet, Pho Chau Commune. After a slow die-off began to take hold of his flock, on March 2, Duong contacted the authorities, according to Thanh Nien newspaper. Provincial-level veterinary health officials collected samples at the farm; the results confirmed the appearance of the H5N6 virus. This is the third bird flu outbreak in Duc Pho District and the seventh outbreak detected in Quang Ngai Province since February 7, which forced the local authorities to cull over 23,000 birds. Provincial authorities have authorized livestock and veterinary health officials to use 8,400 liters of iodine to sanitize and sterilize poultry breeding areas. Vietnam has recorded a total of 15 bird flu outbreaks scattered among 11 communes in seven provinces. 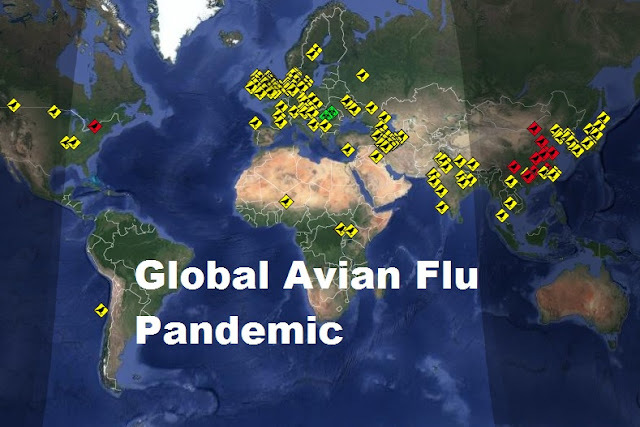 The country has been racing around the clock to snuff out various strains of the H5N1 virus as they rage through farms in neighboring China and Cambodia. Last month, health and agriculture ministries issued warnings regarding the H7N9 virus, a rare strain first detected in China in March 2013.